Attorney R. William Jonas Jr. is a partner at Hammerschmidt, Amaral, & Jonas P.C. in South Bend, Indiana. Mr. Jonas handles business bankruptcy, business litigation, estate planning, personal injury, and other general civil and commercial litigation matters. He serves clients in South Bend and the surrounding areas including Elkhart and Mishawaka as well as throughout Indiana. A graduate of Indiana University Bloomington Maurer School of Law, Mr. Jonas has been licensed to practice law since 1981. He is admitted before all Indiana state courts, the U.S. District Courts for the Northern and Southern Districts of Indiana, the U.S. Court of Appeals for the 7th Circuit, and the Supreme Court of the United States. In addition to running his law practice, Mr. Jonas is heavily involved in his legal and professional communities. He regularly speaks on bankruptcy topics at continuing legal education events and is a class agent for the Indiana University Bloomington Maurer School of Law class of 1981. Mr. Jonas is a past President of the Indiana State Bar Association and presently serves as a member of the Supreme Court committee overseeing the Judges and Lawyers Assistance Program (JLAP). 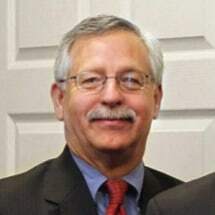 He has served on boards for the Indiana Bar Foundation, the Indiana Continnuing Legal Education Forum, Indiana University Bloomington Maurer School of Law Alumni Association, the Indiana University Bloomington Media School Alumni Association, and Rural Services of Indiana, Inc.
Mr. Jonas also belongs to several Indiana-based professional organizations including the St. Joseph County Bar Association and the Indiana State Bar Association. He is also a member of the American Bar Association and the American Bankruptcy Institute.